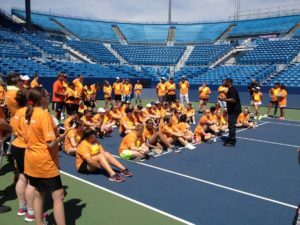 Serve It Up for the Special Olympics is an annual Tennis Tournament and Fundraiser at the Lindner Tennis Center home of the Western & Southern Open. This has become one of SOHC’s largest fundraisers. Not only does it raise awareness and money, but our athletes get to participate in a day clinic to perfect their skills!